During the winter there is plenty of activities and fun for the whole family. Just 35 minutes drive from our camping ground, Roundhill is very accessible by car, or campervan on fine days. With an easy 24km scenic drive along the Eastern Shore of Lake Tekapo followed by a gradual 8km climb up the easy, wide Ski Field access road. Even if you are not keen on giving skiing a go, this is the perfect place to go tobogganing or enjoy snow for the first time! Slopes: Roundhill has a very diverse terrain mix. There wide, gentle learners area is perfect for children and first timers while the undulating intermediate runs offer just the right pitch to be exciting but not intimidating, perfect for those returning to the snow or for an easy transition to take your skiing to the next level, and of course there is the Heritage Express which is sure to thrill the experts. Lessons: There qualified instructors are friendly, helpful, and knowledgeable – they provide expert tuition for beginner through to advanced skiers and snowboarders. Our childrens group lessons are perfect for the young ones to learn the basics or hone their skills with other children in a safe and fun environment. Gear Hire: They have over 350 sets of ski and snowboard equipment for all ages. All of our rental skis are “carving” skis and our snowboards all have strap in bindings. We also hire nutcrackers and harnesses for the Heritage Rope Tow and helmets and toboggans are available. Cafe’: The Two-Thumb Café is the perfect place for you to relax and recharge. Offering cosy indoor seating or all day sun on an expansive deck the Two-Thumb Cafe is the ideal place for you to relax and take in the amazing scenery. The “von Brown hut”, a secret hideaway stashed at the top of the T-Bar where you can sit and sip on a schnapps or cold beer while enjoying the peace and taking in some of NZ’s most spectacular scenery. If you are keen to head up to the ski fields or have a fun filled day in the snow you will need to have the right equipment to stay warm. Our local information centre, Kiwi Treasures, hires snow jackets and snow pants. Snow pants range from size 3 years to 5XL and they have many jackets to fit. At only $15 per item per day, its worth being warm. At Kiwi Treasures you can also purchase great winter socks, beanies and gloves! Tekapo Springs is located just 3 minutes walk from our camping ground. Onsite they provide thermal hot pools, a day spa, ice skating rink, tube park and a licensed cafe. Tube Park: What is it? Simple, it involves you, a tube, and a 150 metre downhill snow slope. Put these together and you get an adrenalin pumping ride! 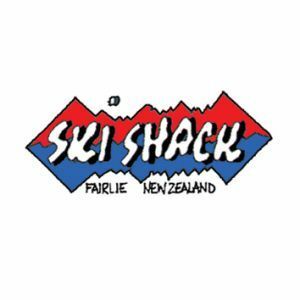 Great fun for all ages and a must do for any trip to Tekapo Springs. Our magic carpet will take you from the bottom of the park to the top in no time to do it all again! Open late June. Ice Skating Rink: Tekapo Springs operates one of New Zealands most scenic skating rinks. The outdoor rink is full sized. Over winter (April – September) the skating rink is used for ice skating, curling, ice hockey, and more! 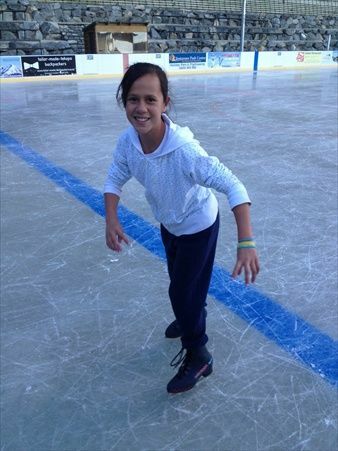 Skate hire is included and helmets are provided free of charge for those less experienced skaters. Private or group lessons are available on request. Hot Pools: Tekapo Springs offers three tiered Hot Pools landscaped in local greywacke rock and surrounded by the regions native alpine plants to create a natural setting. Pool temperatures range from forty degrees Celsius to thirty six degrees Celsius.The pools take advantage of the wonderful views looking out over Lake Tekapo and the Two Thumb mountain range. Cafe’:At the centre of the Tekapo Springs Complex is the Tahr Bar & Cafe. With stunning views over Lake Tekapo and the Two Thumb mountain range, the Tahr Bar & Cafe pays tribute to the Monarch of the Mountains, the magnificent Himalayan Tahr. The cafe offers an ever changing menu of family dishes including regional fare and a range of homemade snacks. The Tahr Bar and Cafe is the perfect place to refuel and enjoy a range of beverages. The cafe is fully licensed. Over winter warm yourself up next to the fire place with mulled wine. For more information check out Tekapo Spings Website and Facebook Page!